Hello crafty friends. I hope you've had a good day. 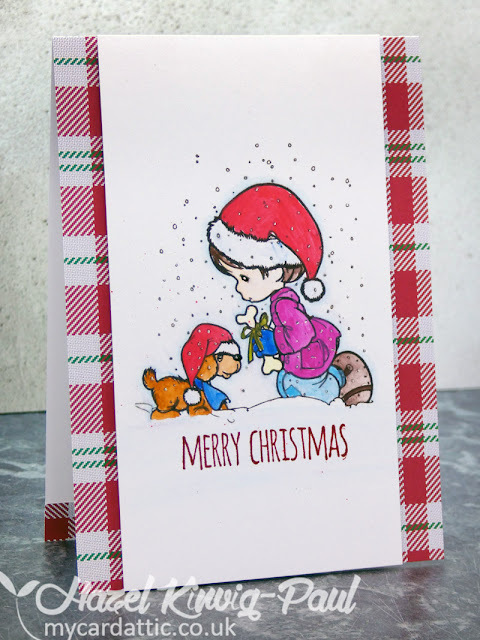 My card today is another panel that I took to Spain with me to colour. The image is a digi image and I coloured it with my watercolour pencils and a water-brush - they are more convenient for me when travelling! I just stamped a greeting and mounted it onto a card base that I'd covered with a plaid patterned paper, and called it done. 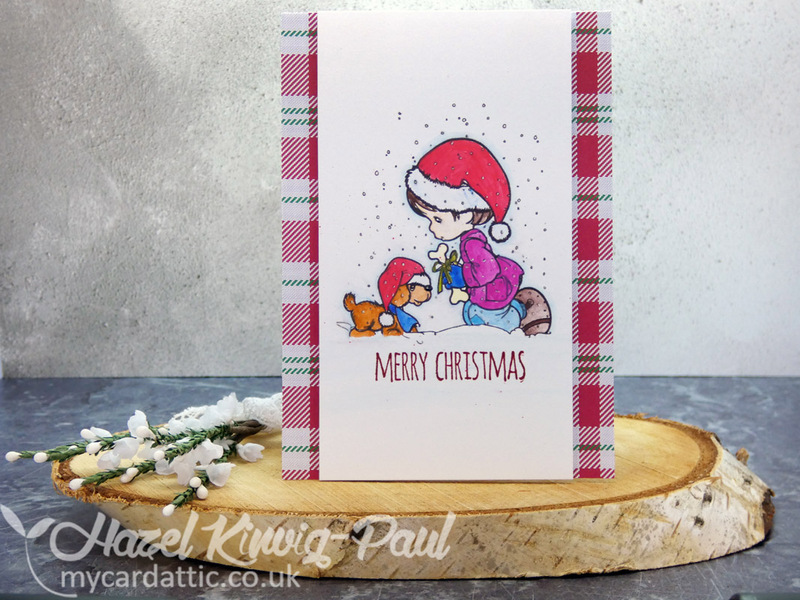 There will be a few more pre-made panels that I will post now from time to time - but I will intersperse them with other types of card - promise! Here it is. And, as requested . . . the inside! No matter what I do, I just can't get a decent angle on the inside shot? I have tried placing it so I can photograph from directly above, but then I always cast a shadow on it. I have also tried, turning it 'inside out' and standing it up, but then it just wants to 'flatten' itself out? Any suggestions would be greatly received. Thank you so much for your visit today and especially if you have left a comment. You are all appreciated more than you know! If you have a question, please be sure I have a way to contact you so I can answer, as a lot of you are 'no-reply' bloggers, so I am unable to reply via e-mail. 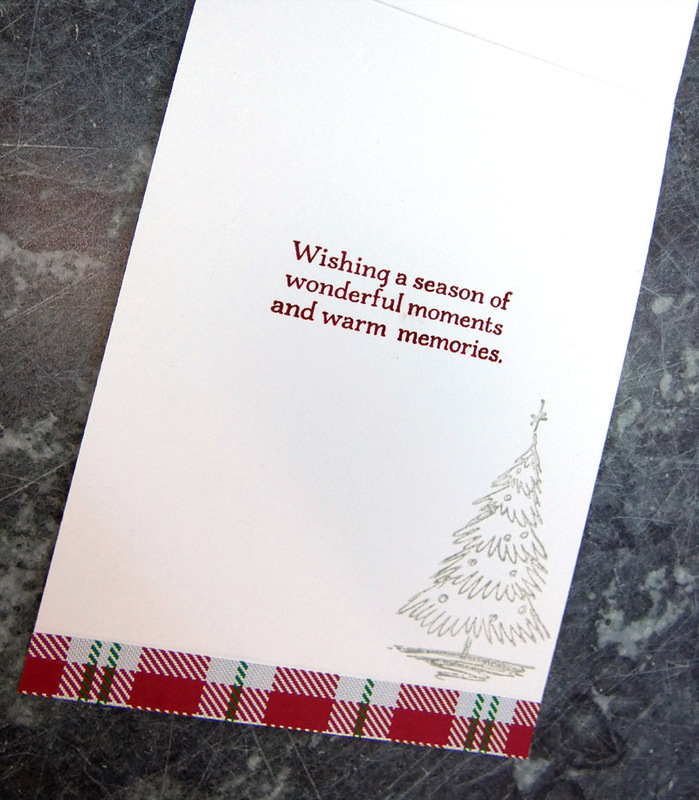 Its Adorable card ! loved the coloring ! 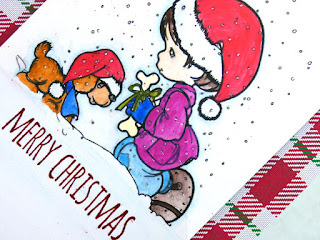 Very lovely Christmas card, you got such nice bright colors with your watercolor pencils! I love the image and the inside. I also have a hard time photo-ing the inside, I have seen some people fold their card inside out to get the shot, but I don't like the idea of doing that as it might look a little weird when I give it. What do you think? Great job of coloring, Hazel! You've done a wonderful job of blending the pencils. It looks like watercolor! It's such a sweet image! Wonderful coloring and fabulously festive card. I love the plaid background. So very cheery. 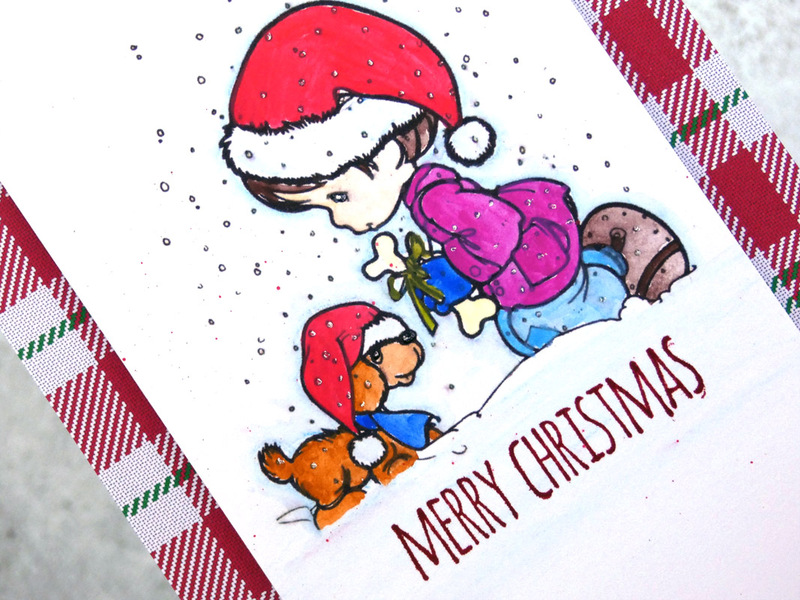 Aahhhh..Your Christmas image is so sweet and beautifully colored with your watercolor pencils and water brush. I have been taking my Zigs for my watercoloring when traveling. Watercoloring is so relaxing when you have the time to layer on the colors. So happy to have you home and posting your beauties. 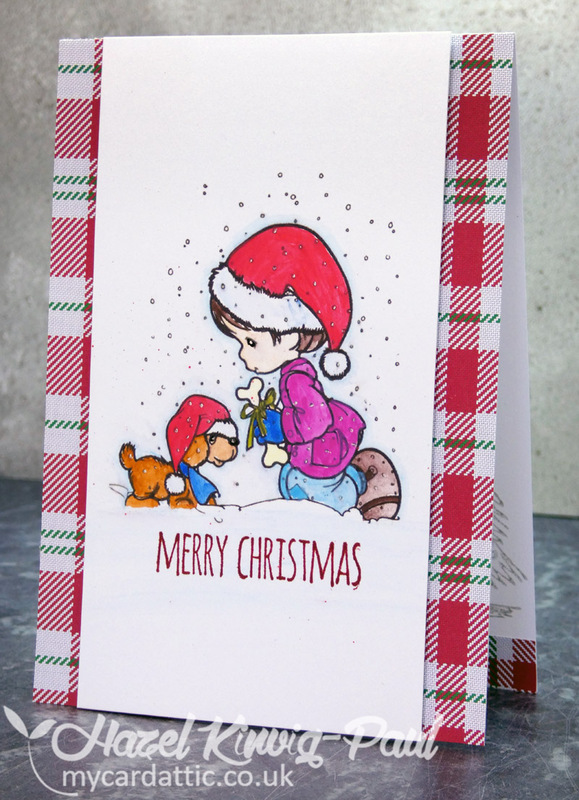 Hugs..
What an adorable card...love your little sweetie! Totally adorable, Hazel! Love that sweet image ... great colouring with your w/c pencils! Love the addition of the plaid.